Which Bank Provides the Best NRI Banking Services? This article helps you to find out the banks who provide the best banking services and also helps you to find the major factors to be considered while looking for NRI Banking Service. NRI Banking Services define the relevancy and efficacy of a bank that claims to be NRI Friendly. Actually, the services should be designed and catered such that the NRI Banking such as money deposits, transfers, withdrawals, NRI Loans and other such money-related transactions can be done easily without a sense of trouble and with minimum 'physical' involvement. The biggest trouble faced by the NRIs is their 'presence' in the bank for the banking processes. Frequent flying is not an option in some cases and is not even feasible for the ones with limited resources. In such a condition, it becomes inevitable to have a bank that provides all kinds of banking services to the NRIs with minimum PHYSICAL involvement. The South Indian Bank is one of those banks that seem to have designed their service portfolio especially for the NRIs and offers the facilities like no other bank. Let us understand the NRI Banking Services provided by the South Indian Bank and find out why it is the best. It is one of the must-have and the most used services of any bank and the South Indian Bank aces it by providing 3 kinds of Savings Accounts, namely – NRO Accounts, NRE Accounts and Foreign Currency Deposit Accounts. The NRI customers can open an account in any of the three categories as per their earnings and requirements. The NRI Banking Services of the South Indian Bank offer the best possible online banking services including the money transfers. NRIs can operate their banks anytime from anywhere without any trouble or halts. The general insurance includes the Business Insurance, Motor Insurance, Rural Insurance, Marine Insurance, Fire Insurance, Travel Insurance, Liability Insurance, and Personal Accident Insurance. Generally, the main problem encountered by the NRIs for various processes of NRI Banking is the mammoth paperwork in all the banks; but South Indian Bank offers the minimum paperwork policy in which the customers are not harassed with huge paperwork which is daunting and drives away the customers. The NRIs can also complete the majority of it online which means that SIB is the fastest and the best bank for all kinds of NRI Banking Services. If you wish to know more, log on to www.southindianbank.com and find how this is the best bank for the NRIs. 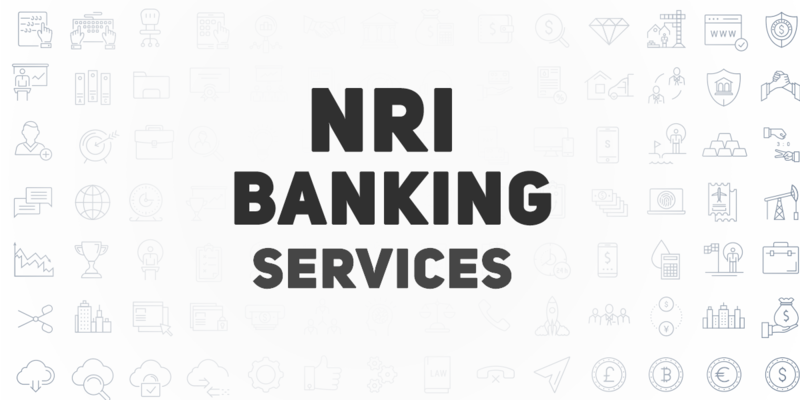 While the NRI banking service is available with almost all the banks across the country, what the customers want is the best and reliable service from their particular branch to which NRI services are also available. Some banks are having special NRI branches catering only to their needs but such branches are concentrated in the centre of the city and that makes the customers to shy away from such branches. Nowadays even people from villages are going abroad, settling there and becoming NRI in due course through their hard work and persistence. For them, the local branch should handle the NRI account which is not available in many branches.